Yesterday, we talked about how Neanderthals possibly survived on paleo diet comprising up to 80-percent red meat and around 20-percent plant-based items. Well, as it turns out, there was a more ‘humane’ side to these archaic humans that went beyond diets and eating habits. 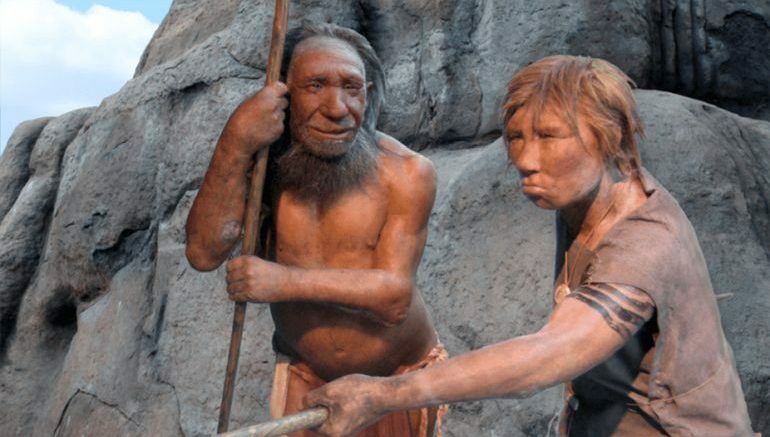 According to a recent study conducted by researchers at the University of York, our popular notions about the Neanderthals being brutish and coarse takes a back seat. The scientists have instead claimed that the Neanderthals rather developed a scope of highly effective (albeit uncalculated) healthcare based on both compassion and knowledge. Our findings suggest Neanderthals didn’t think in terms of whether others might repay their efforts, they just responded to their feelings about seeing their loved ones suffering. The hypothesis comes from the assessment of the ‘life-history’ of various Neanderthal individuals, as could be determined from their bone remains. Detailed pathologies have determined how most of them tended to have serious injuries and debilitating conditions. For example, analysis of a Neanderthal male aged around 25-40 at time of his death revealed a bevy of serious health issues, including a degenerative disease of the spine and shoulders. We argue that the social significance of the broader pattern of healthcare has been overlooked and interpretations of a limited or calculated response to healthcare have been influenced by preconceptions of Neanderthals as being ‘different’ and even brutish. However, a detailed consideration of the evidence in its social and cultural context reveals a different picture. The very similarity of Neanderthal healthcare to that of later periods has important implications. We argue that organized, knowledgeable and caring healthcare is not unique to our species but rather has a long evolutionary history. And lastly, in case you are interested in how a Neanderthal sounded, do take a gander at the reconstruction video below, originally made under the auspices of BBC. The study was originally published in the journal World Archaeology.